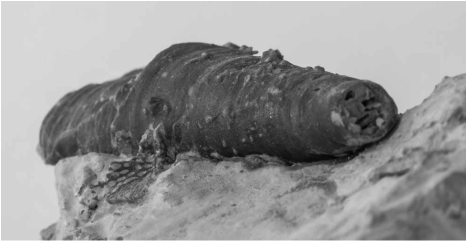 We are presenting these fossils that are commonly referred to as Worm Tubes and currently without definitive classification to the contrary. 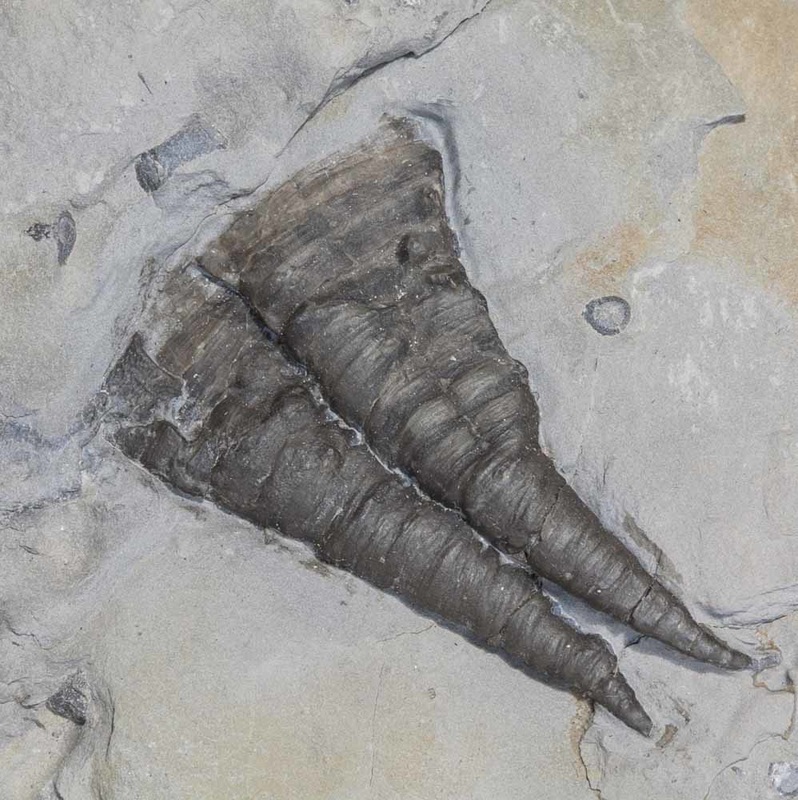 This specimen is 17.2 cm long and .48 cm wide at the top of the specimen and .16 cm wide at the bottom. 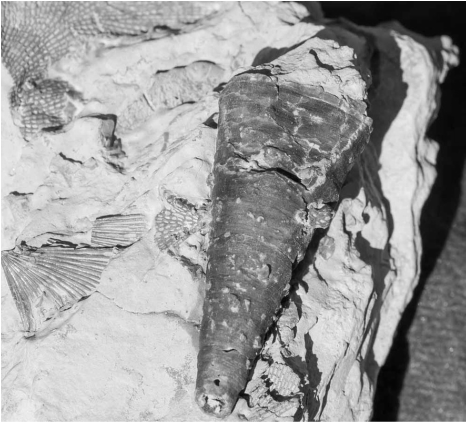 Left specimen is 3.8 cm and the right specimen is 4.2 cm. This specimen is 6 cm long.